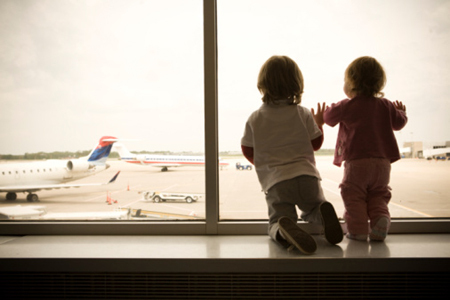 On the 1st of June the new rule for children travelling in South Africa will come into effect, all major airlines say they have done all they can to inform those that will be effected. As the date creeps closer, whether you like it or not, these provisions have to be made! Tourism Minister Derek Hanekom confirmed in parliament recently that there had been negative growth over the past six months from countries affected by the regulations. No matter what the findings may be, South African travelers who want to stay on the right side of the law should prepare their travel documents according to the new visa regulations, or face immediate deportation! Book in at 808 Cartwright for an affordable, self-catering apartment with amazing views. Need a reliable shuttle service to and from Cape Town International Airport? Contact Airport Shuttle today! When you travel by airplane, whether it is for business or with your whole family, it is extremely crucial to be ready for the unexpected. These are five absolute must-haves to include in your carry on! 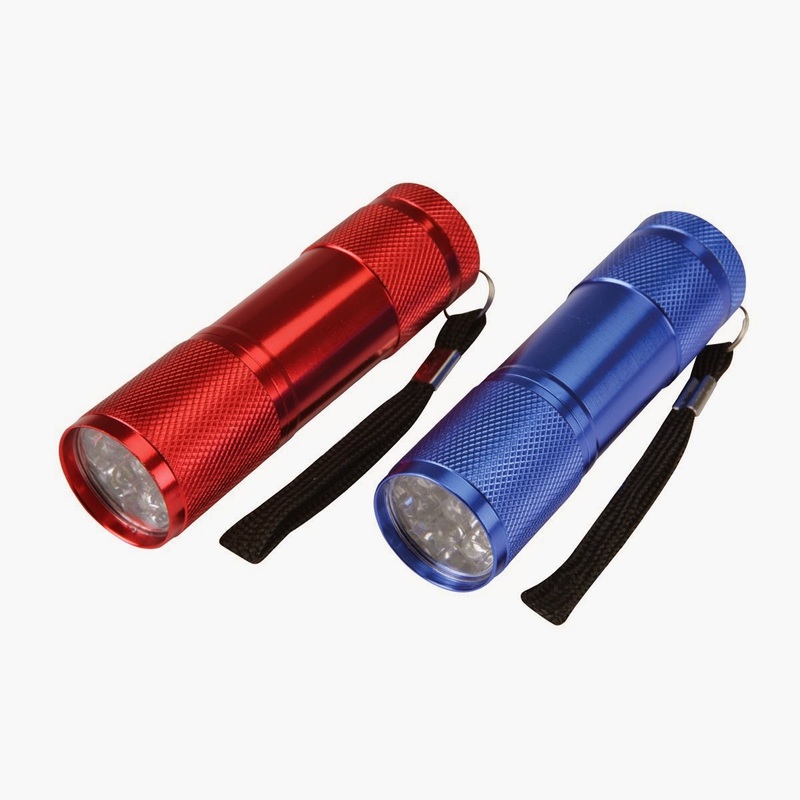 - Mini-flashlight - When your cellphone, wallet or any other small item rolls under your seat at night (especially your baby’s dummy) you’ll be so glad your flashlight is at hand. Staying hydrated on a long flight is so important! Small cups can easily fall off a tray, and just won’t do for air travel. 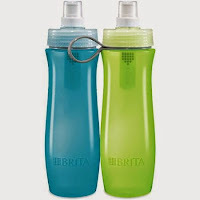 Use a container that can be kept in your pocket or bag and ask to fill it with ice and water. 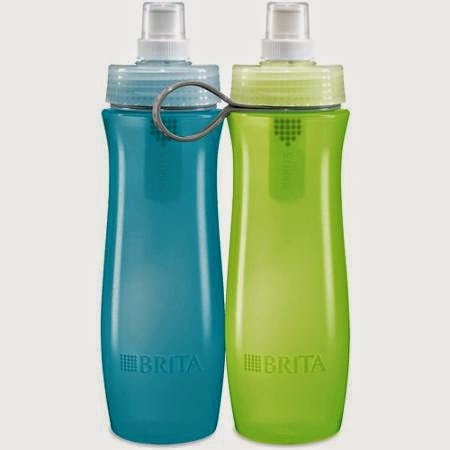 You should get one water bottle for every traveler. 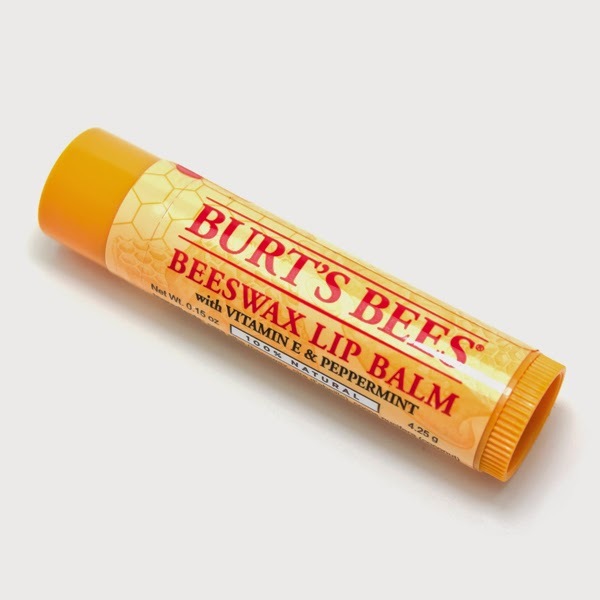 Always keep a lip balm in a small baggie within reach along with the next few items. Your lips can dry out easily in the dry air on board the airplane, so a lip balm close at hand is essential. Like a handy lip balm, these are a must! 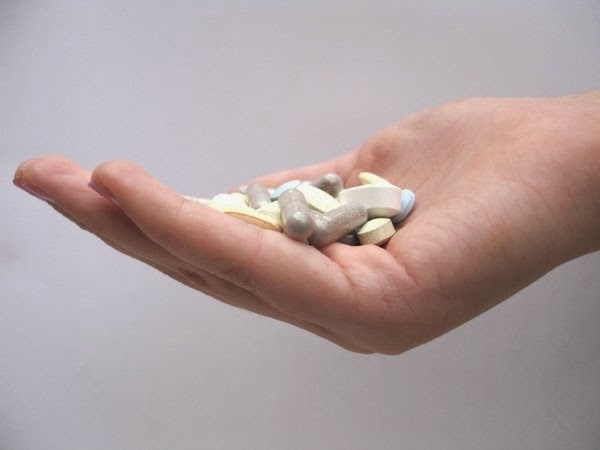 Dry red eyes are not only unsightly but can be very uncomfortable. Plain saline nasal spray can also combat the dryness of plane travel. Whether you, your companion or the kids, pack a small surprise or two to pull out when the trip gets dull. Maybe a sweet treat for yourself or maybe an unexpected toy/game or puzzle for the little ones. The newness will break up the boring. When air travel takes you beyond a few hours, you always need to have these five carry-on essentials on hand! For a reliable shuttle service in Cape Town, give Airport Shuttle a call and one of the friendly drivers can shuttle you to and from Cape Town International Airport. Need a self-catering apartment with amazing views of the Mother City? Book in at 808 Cartwright today! Other countries do include meat in their breakfast, but no one does it quite like the English! A typical English breakfast or otherwise known as a fry-up must consist of beans, sausages, bacon, egg, fried mushrooms, hash browns, toast and a salty disc of black pudding. French food is known for being rich and very delicious, that’s why they choose to only eat sweet food (nothing with salt) for breakfast. 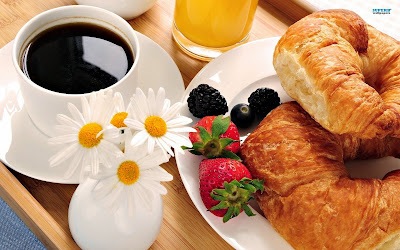 A French breakfast includes tea, coffee or juice with breakfast pastries like croissants, baguettes, French bread and plenty of butter and jam. 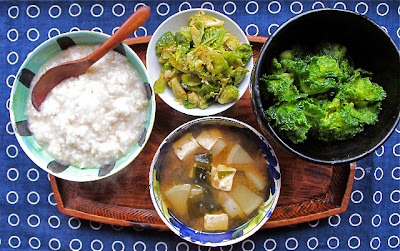 Tofu is a popular choice for breakfast in Japan. But, often a simple bowl of miso soup and rice or rice porridge sometimes with a piece of cooked fish and pickled vegetables, is a typical breakfast in Japan. Of course, don’t forget your cup of green tea. Breakfast in America is very varied. You will find different takes on the meal across the states. 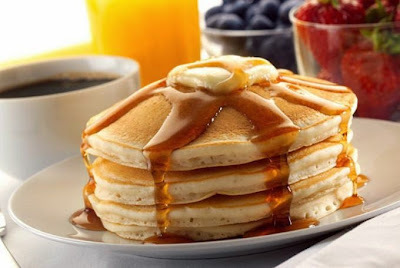 But the most popular breakfast options in America are always doughnuts, cereals and homemade pancakes. However one of the best breakfasts has to be in New York, where you will find the best bagels in the world. The traditional first meal of the day in Germany usually consists of wursts, a variety of yummy local cheeses and freshly baked breads. And, the normal fare for a German breakfast is all washed back with a delicious coffee. Indian breakfast cuisine varies hugely depending on the region, but it is often similar to lunch or dinner. 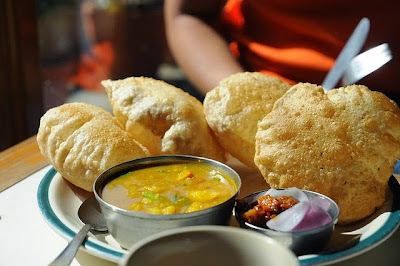 A breakfast plate in South India may consist of vegetable stew with lentil and rice bread, while breakfast in central India will be a thick pancake served with different dips and chutneys. Turkey certainly has an exotic breakfast meal. 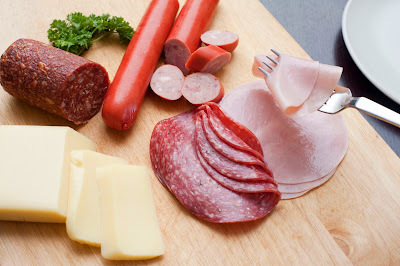 A typical breakfast will include cheese, olives, tomatoes, boiled eggs, cucumbers, bread, jam, honey and spicy meat. 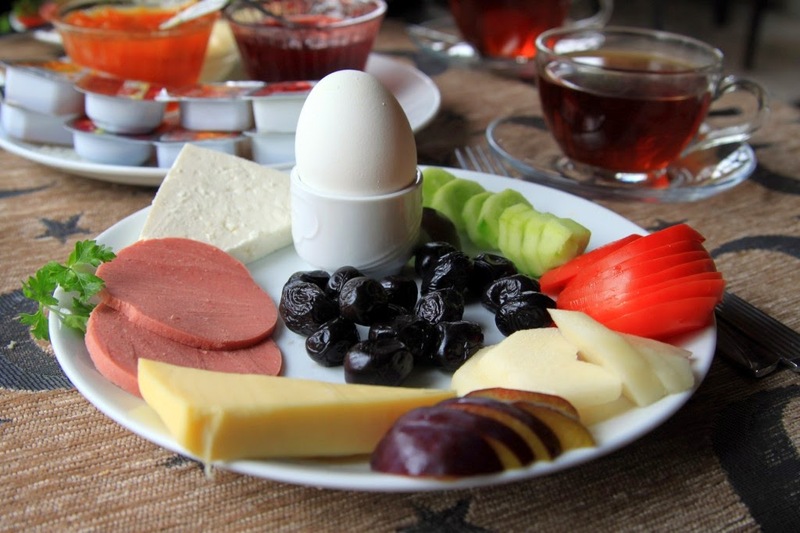 A more traditional Turkish breakfast will also include menemen. A delicious, spicy breakfast is the norm in Mexico. A delightful Mexican breakfast plate may often have ingredients such as tortillas, eggs, cheese, beans and sauces. 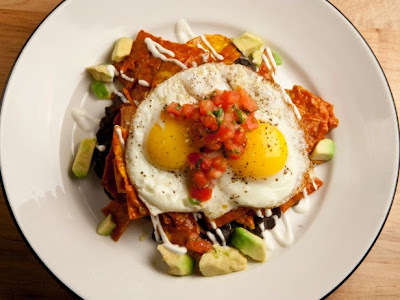 Another common breakfast item is chilaquiles – fried corn tortilla chips topped with green or red salsa, eggs, chicken, cheese and refried beans. 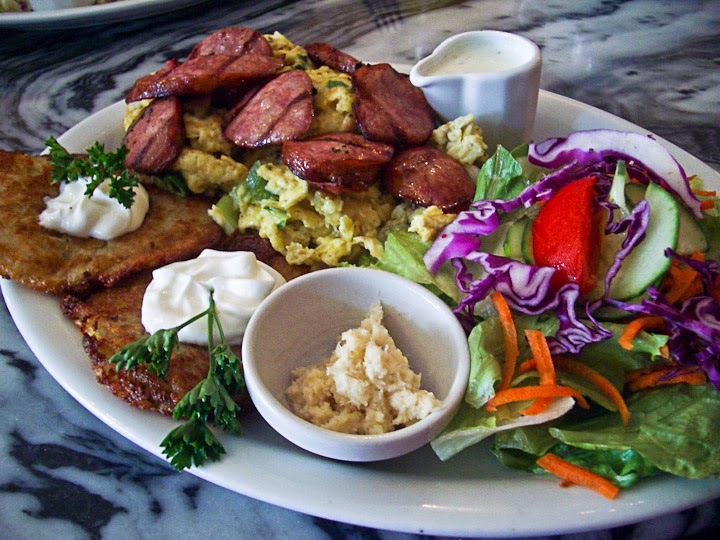 Known locally as Jajecznica, a traditional Polish breakfast includes scrambled eggs covered with slices of custom-made kielbasa (a sausage) and joined by two potato pancakes. Breakfast is a lot like lunch and dinner in China, so you can expect food items like noodles, dumplings, and rice in vegetable soup. 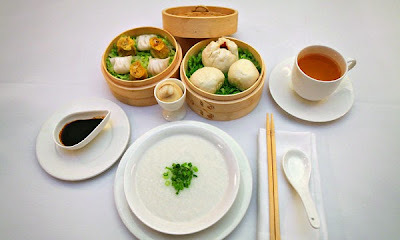 A popular comfort food and breakfast cuisine in China is congee (rice porridge), it can be eaten plain or topped with ground meat or squid. Breakfast can be a tricky meal, some people won’t leave the house without their daily morning nourishment and others never eat because of lack of appetite or time. Hopefully this variety of delicious breakfast meals may even inspire you to travel the world. Planning a trip soon? Contact 808 Cartwright for a luxurious, self-catering apartment with amazing views of Cape Town. Plus, Airport Shuttle can transport you to and from Cape Town International Airport. Taking a flight can be extremely exciting, but that by no means makes it acceptable to try and do a cartwheel in delight! It’s very hard to access a potential threat if they keep spinning upside down. Yes, down at the bar it’s acceptable to push that old guy out the way and try to get served first. However, if you’re late for your flight: tough! Shoving ahead of people can draw attention to yourself and security will probably target you first. 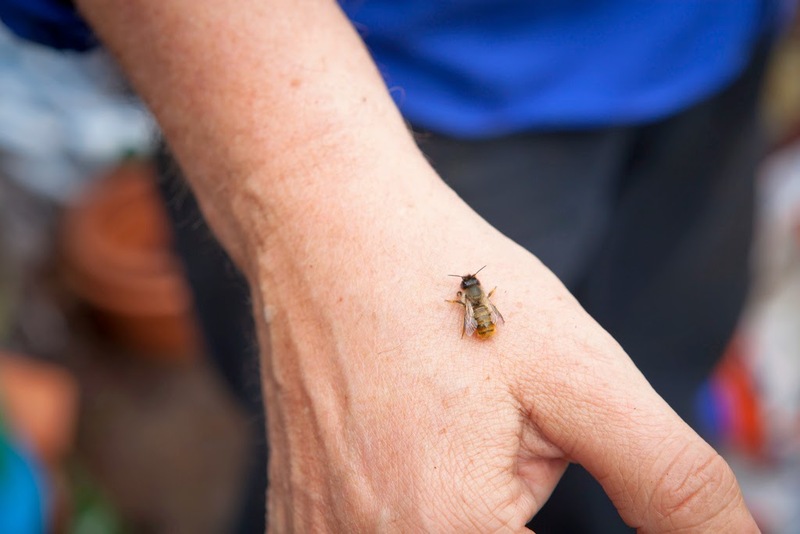 Okay, so a bee starts hovering around your face, and it doesn't seem to be interested in attacking anyone else but you. That doesn't mean that is a good idea to make sudden movements around security because you might get tasered instead of stung! 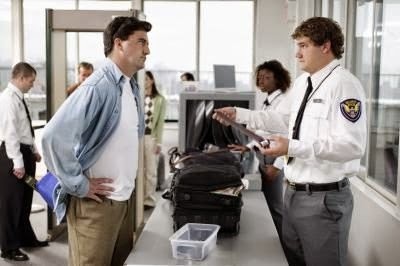 We naturally tend to mirror each other, but you should probably avoid doing this around security guards, because it may seem like you are making fun of them. An overworked guard really won’t appreciate you trying to copy their frowning expression. 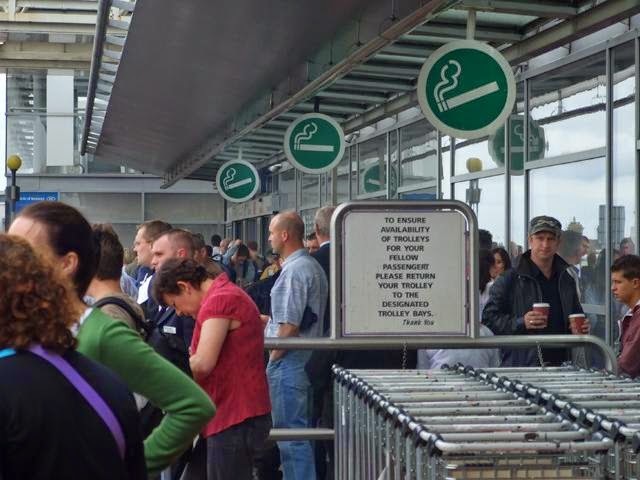 Smoking might be your favourite thing to do in the whole world, but guess what, security guards aren't allowed to smoke at all when they’re on duty. You don’t want a crazy jealous security guard to see you puffing away. The security guards at the airport are not your personal butlers, so don’t demand that they take your coat and belt off for you. It’s simply not the most appropriate setting at all! It’s tempting to want to self-medicate before you get on your flight, but you may get into trouble due to the fact that you can’t take your shoes off without bursting into laughter. You see the airport security guards? 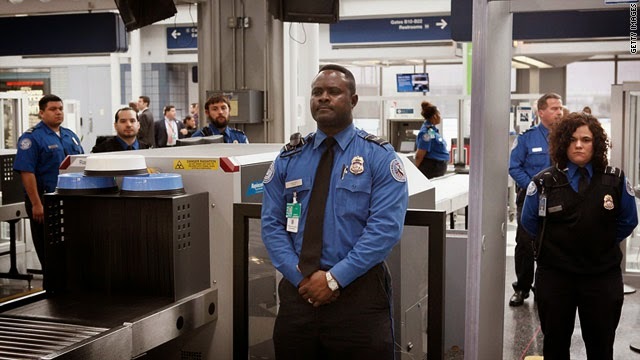 They don’t really appreciate it when you walk through the security scanner and set it off because you smell so bad (that won’t really happen). To avoid this, simply take a shower before your flight and wear a decent pair of clean clothes! You may want to show off your bronzed and athlete legs, but nobody at security wants to see them! The only item of clothing you need to take of when you pass is your belt. If you pants can’t stay up without a belt, it is recommended that you hold them up with your hands. Simple: it’s annoying and unnecessary. Don’t ask pointless questions that don’t need to be asked in the first place. Keep quiet. This one is more of a warning for all those loud, crazy sneezers out there. If your sneezes sound like you’re screaming bloody murder, then try and keep them under control until you’re passed security. 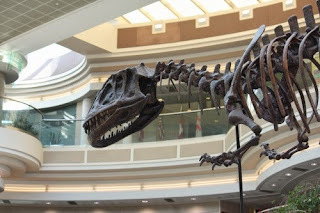 Think about it – what would security think when they see you shouting in the airport. If you like singing, keep it for when you are at home. The security guards won’t enjoy your voice no matter how beautiful it is. Plus do you really want to draw attention to yourself as the weird singing lady? No, because that may end up getting you a random search. 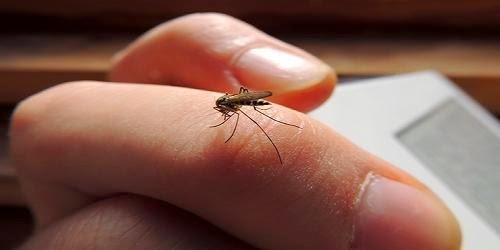 Yes, you’re supposed to murder any mosquitoes that come anywhere within your range, but slapping your hands together randomly and shouting “Got you!” just invites security over to turn your words around on you. Don’t breathe, don’t eat, don’t fall asleep, don’t move, don’t fall in love, don’t touch anything, just don’t! 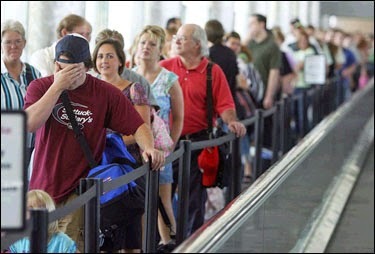 It will all be over soon enough and you can leave airport security behind you and get on with your normal life. 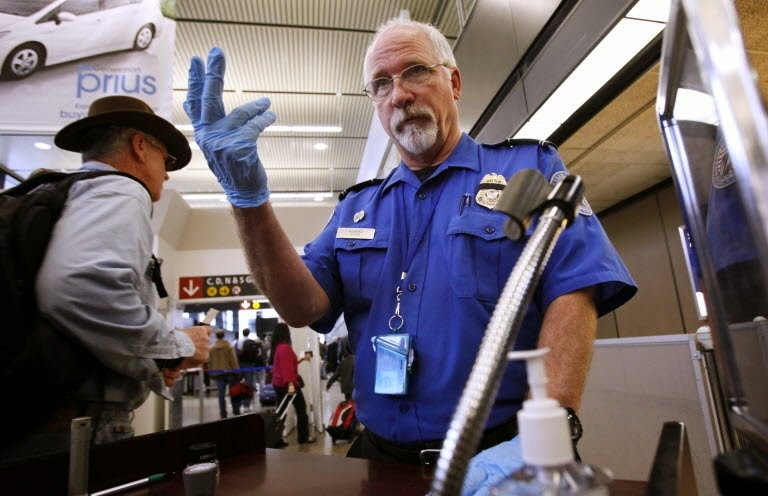 Airport security is a nuisance that travelers just have to accept. If you want to fly around the world safely, you’re just going to have to put up with it. The best thing you can do is get through security as quickly and painlessly as possible. Contact 808 Cartwright for an affordable, luxurious self-catering apartment with amazing views of the Mother City. Need a shuttle service to and from Cape Town International Airport? Contact Airport Shuttle today! MASSAGE – At New Delhi Airport in India, you can take a load off with a foot massage. SNUGGLE WITH A DOG – At Miami International, Casey the therapy dog wanders the terminal with her owner. Anyone is welcome to touch and pet her. TOILETS – From Hello Kitty-themed restrooms in Taipei, to futuristic electronic toilets in Tokyo, airports have plenty of interesting facilities. SOUVENIRS – London buses, lobster hats and a solid chocolate hockey puck. All in an airport near you. 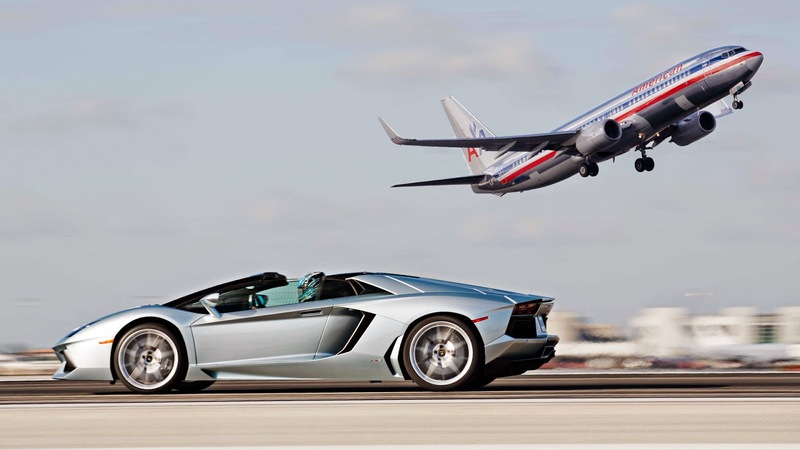 CARS – Bahrain and Dubai airports hold regular raffles for luxury cars. 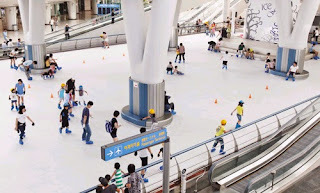 GOLF – Both Hong Kong international and Thailand’s Don Muang airports have golf course on the airport grounds. CHOCOLATE – Specialist chocolates, such as Toblerone bars, can give the travelling chocaholic their coco-fix. BAR – The Swiss lounge at Zurich Airport has the world’s longest airport bar. BOOZE – Every country has its own special drink. For example, South African Amarula is available at Johannesburg Airport. 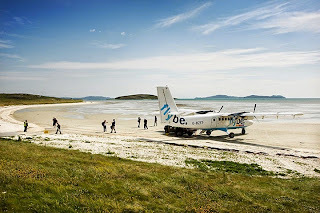 Whether you have been delayed, snowed in, missed your flight or have just ended up with hours to waste between connections, here are some interesting ways to make use of your down time, while getting some great life experiences too! Make sure to book in at 808 Cartwright Corner for a luxurious, self-catering apartment with amazing views of Cape Town. Need a reliable shuttle service to and from Cape Town International Airport? Contact Airport Shuttle today! 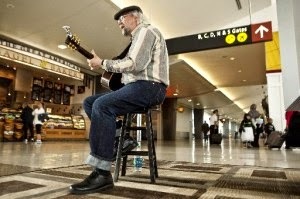 If you’re an avid traveler, you know what it’s like at the airport. You've checked in, dropped your baggage, gone through security, got your bearings and now you have one, two, three hours to kill. It would probably be considered rude to eavesdrop on the intense conversation happening in the seat behind you. So, what should you do? YOGA – Catch up on your stretches and Downward Dog pose at Dallas Fort Worth’s terminal-based yoga studio. PING-PONG – Ping-Pong tables are set up at Milwaukee’s Mitchell Airport. 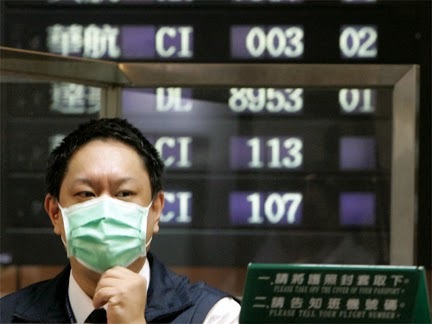 BREATHE – Narita Airport, Japan, has its very own oxygen bar where you can get a quick oxygen fix. VACCINATIONS – At many airports you can get a flu shot, a yellow fever vaccination or countless other shots for travel abroad. RUN A LAP – Charles de Gaulle Airport in Paris should do the trick with its circular design in Terminal 1. SWIM – A swimming pool and Jacuzzi are available to passengers at Singapore’s Changi Airport. HEALTH CHECK – Teeth whitening, blood pressure testing and expert physicians are available at Incheon airport. MEDITATE – Albuquerque and Raleigh-Durham in the U.S. offer meditation rooms for travelers. FLASH MOB – Vancouver, Dubai and Atlanta have all played host to flash mob events. 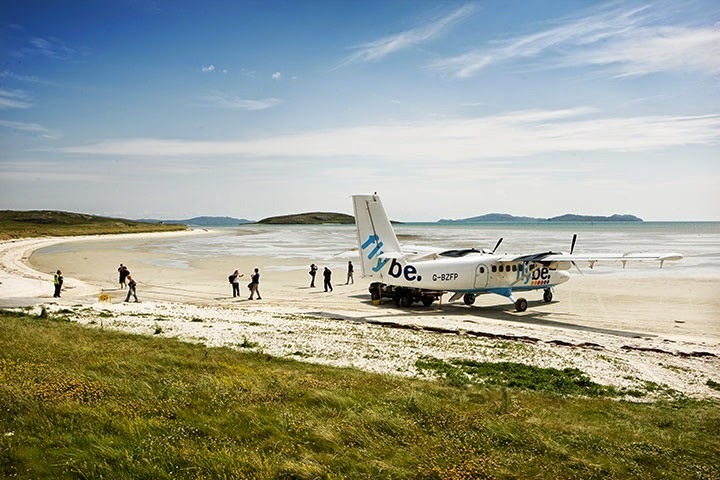 FUNNY NAMES – Look for amusing destination names on the departure boards. Batman, Moron and Mafia are all real airport names. A DINOSAUR – A 10 foot tall, 31 foot long Yangchuanosaurus greets at Atlanta’s Hartsfield-Jackson Airport. ART – London Heathrow’s Terminal 5 has its very own art gallery. PEOPLE – In terms of international flights, the top 10 busiest airports handle more than 400 million passengers each year. 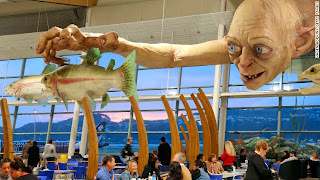 A FILM – You can rent a movie for your laptop from a range of kiosks at airports across the U.S.
GOLLUM – A 42 foot statue of Gollum from Lord of the Rings sits catching fish in Wellington Airport. 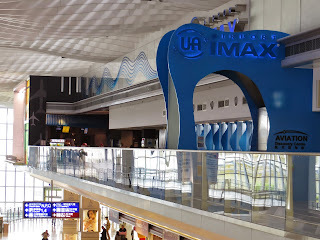 THE CITY – Singapore, Utah and Istanbul airports all offer free trips into town to see the sights if youre a passenger in transit. THE STARS – Tokyo’s Haneda Airport boasts its own planetarium. FISH – Vancouver Airport has an aquarium and a jellyfish exhibit. BANNED ITEMS – Airports sometimes display all of the items confiscated from travelers. 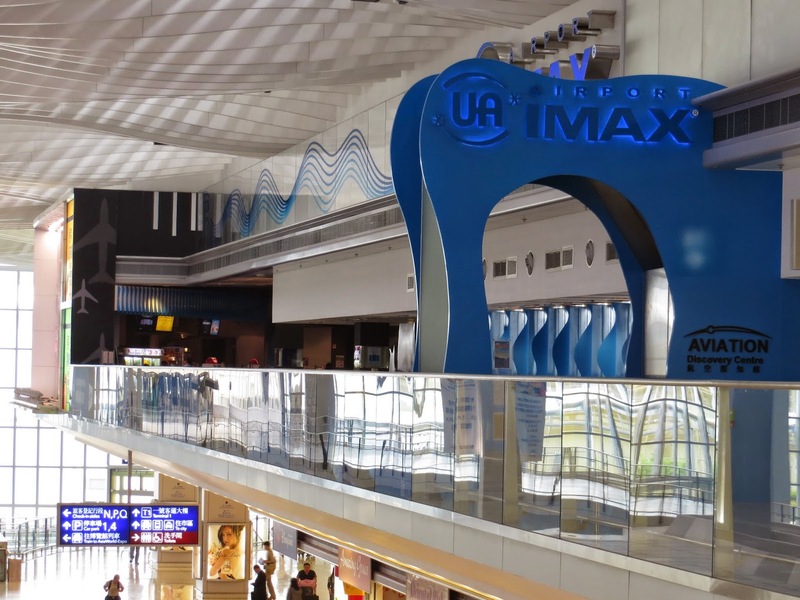 A GHOST – Manchester Airport in the U.K. is rumoured to be haunted. LOUNGE AROUND – Qatar’s lounge in Doha has a full spa for you to enjoy. PRAY – Many airports have a prayer room, but Dammam’s King Fahd International Airport has a mosque capable of holding 2,000 worshipers. SLEEP – Take advantage of the specially designed “sleeping chairs” in Seoul, Singapore or Amsterdam. PAMPERED PETS – Japan’s Narita Airport has a hotel for your beloved furry friends. It also has a vet clinic and a grooming salon. 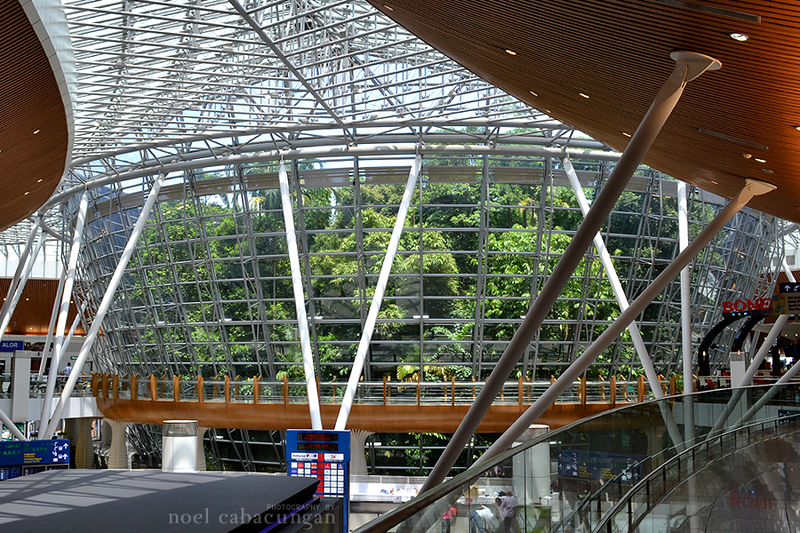 NATURE – Pay a visit to the rain forest without leaving the airport. 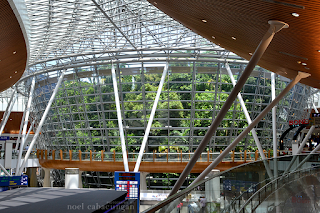 A section of jungle has been transplanted into Kuala Lumpur Airport. In a perfect world, airline travel would be stress free, all passengers and airport workers would be polite and delays wouldn't exist. We’d also all be holding hands, singing and dancing while waiting for our flights. But since none of that is going to happen anytime soon, let’s work on some things that we can change. We all know what happened in 2001. Laptops and liquids need to be taken out; shoes need to come off etc. This particular person doesn't seem to realise that you can’t just walk up to the departure gate anymore. 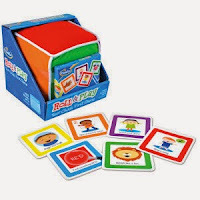 They can usually be found surrounded by security personnel, who have to try and use diagrams and sometimes puppets to explain the rules to them. This person also goes by the name of Seat Hog. This traveler believes their carry-on, coat and shopping bags all deserve their own seat. Old ladies and frail people, we’re looking at you! This person is usually found drinking it up at the airport bar. They are currently the subject of a new type of phenomenon – passenger shaming. Well, at least at Amsterdam’s Schiphol airport they do… they announce the offending passengers name followed by, “You are delaying the flight! Immediate boarding please at gate XYZ or we will proceed to offload your luggage!” Oh, those darn Dutch. This person has given up on the enforcement side of parenting, they occupy a wondrous zone somewhat between oblivion and neglect, not realising or caring the havoc their spawn are creating. If this sounds like you and your children, make sure you read up about how to keep them – or you – busy. This person can usually be found scratching their head and looking confused at the top or bottom of the escalator. 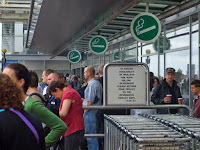 This particular person suffers from a similar ailment – blocking the path of people behind them and hogging the entire width of the moving walkway. This person can be spotted with their shoes off and their feet leaning on whatever structure is handy – probably the seat across from them. This type of annoying passenger generally leaves their coffee cup and MacDonald’s packet scattered on the floor when they finally board. They are in firm belief that their mother does indeed work at the airport and clean up after them. This person suffers from the most foul of ailments – the need to hog the baggage carousel. They can be spotted at the exact point where the baggage exists the carousel, loudly cursing when theirs is not the first out of the chute. Similarly this person is also prone to extended bouts of baggage confusion, like picking up luggage that isn't theirs, then throwing it back in disgust. 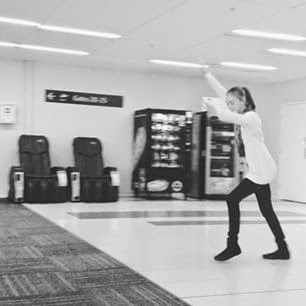 This person is seen gliding effortlessly through the airport, fashionably dressed, while they exude an unassuming confidence. Doors seem to open for them, they whisk through the security line and they get upgraded without even asking. They always have their boarding pass and passport at the ready, open to the identification page… in short they are the absolute perfect passenger, and that’s why they’re annoying! 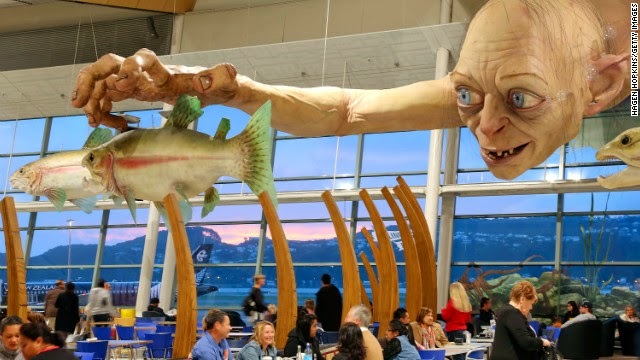 Do you notice any similarities between you and any of these annoying people at the airport? If so, you might want to get that sorted out right away! 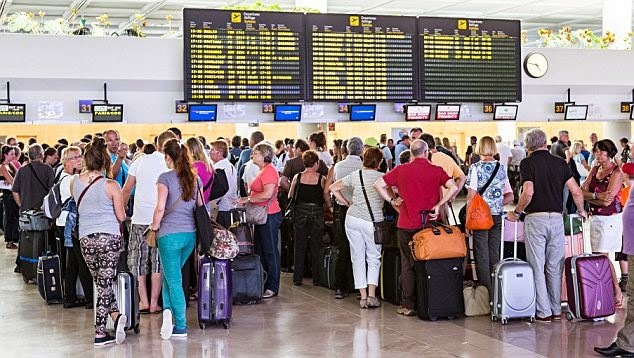 What annoying behaviour have you seen at the airport? Make sure to book in at 808 Cartwright if you are travelling to Cape Town - for the best, most affordable self-catering apartment, with amazing views of the Mother City. Need a shuttle service to and from Cape Town International Airport? Contact Airport Shuttle today! 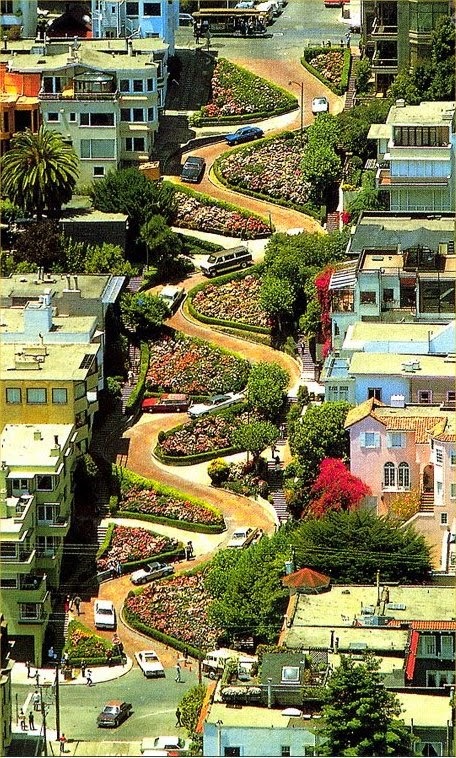 If you are a professional race car driver – stay away from Lombard Street in San Francisco! The start of this weird street consists of 7 hairpin turns situated only a few hundred metres away from each other. The road was built in this way to make it a bit less steep for transport to drive through safely. It is called the most crooked street in the world. Driving always needs to be safe. Nevertheless, from time to time we face difficulties on the road. One of the most unique junctions in the world is in Swindon, it consists of 5 roundabouts that almost resembles a maze that drivers have to solve. The worst part of all of this is that drivers must ride the central roundabout in the opposite direction to the smaller roundabout. This is truly a hellish place for skilled drivers and a total nightmare for learners. The longest street in the world is located in Canada. It is about 1,178 miles long and the project is called an event of National Historic Significance. The street was actually included in the Guinness Book, however, in the 1990s some changes were made and the street was excluded from the book. No matter, people still consider it to be the longest street. The widest street in the world is in Buenos Aires and it is made up of 9 lanes. It takes about 300 feet for pedestrians to cross the road to get to the opposite side. The middle part of the street is actually decorated with stunning gardens, squares and monuments. Can you imagine a roundabout with a huge forest in the middle? Well, such a place exists in Malaysia. There is no other roundabout in the world that is as large as this one! It is almost 2.11 miles around and is next to another tourist destination, the Malaysian Prime Minister’s office. Have a look at these strange streets around the world and maybe you will get curious enough to have a trip to go and see the with your own eyes! Contact 808 Cartwright for a reliable, affordable, self-catering apartment in the Mother City. Need a shuttle service to and from Cape Town International Airport? Give Airport Shuttle a call today! 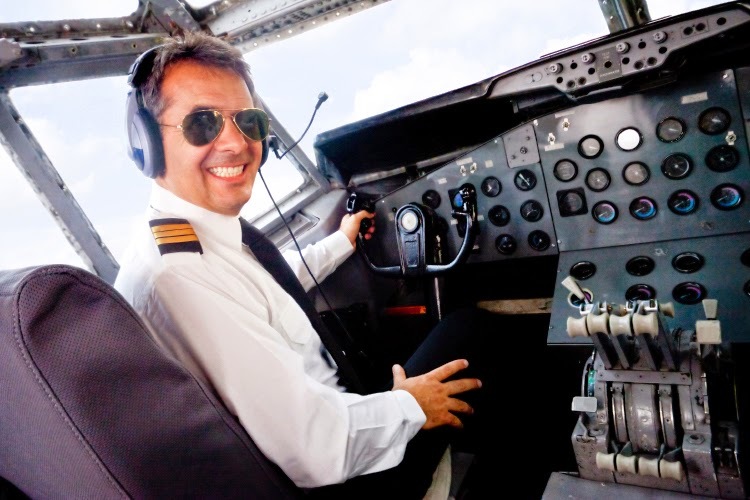 Pilots are well known to be up there with doctors and lawyers, except did you know that ticket prices have actually declined because pilots’ salaries have also declined 42% in the past three decades? Pilots make a lot less then you think they do. You can cut a pilots pay to the point where they’re so overworked they push the wrong button due to sheer fatigue and crash into a building, but they’re still going to be lining up to fly – because they have to. It’s up to us to not be people who take advantage of some of the rare people in the world who have a real passion for something, like flying. Imagine if you had to deal with the public every day. Now imagine having to deal with the public every day after they've had a round of drinks. Now add in a soundtrack in the background of crying babies and people talking and laughing loudly. Now lastly, set this all in a small enclosed space. Imagine being a flight attendant, you’d have to smile the whole time and selflessly leap to the aid of everyone. 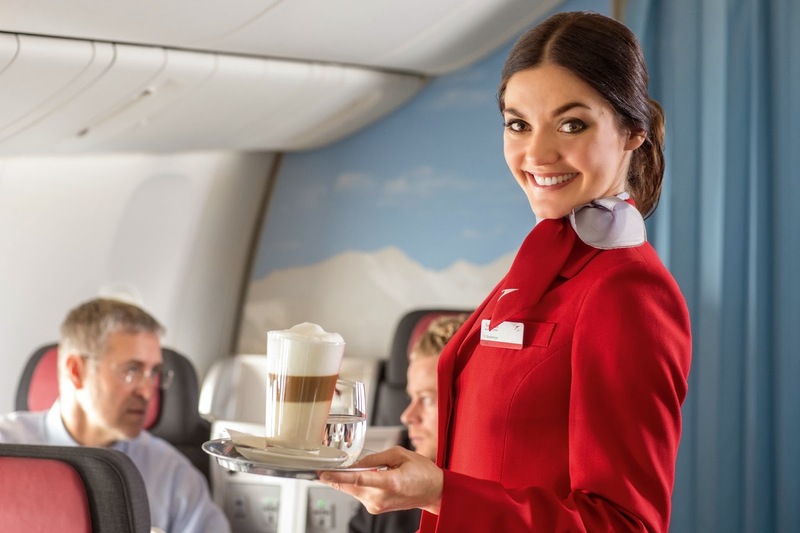 Becoming a flight attendant is tough enough in the first place, I mean, you have to pass several interviews, go through months of training and endless tests. Not to mention, if you are late once, you’re gone! 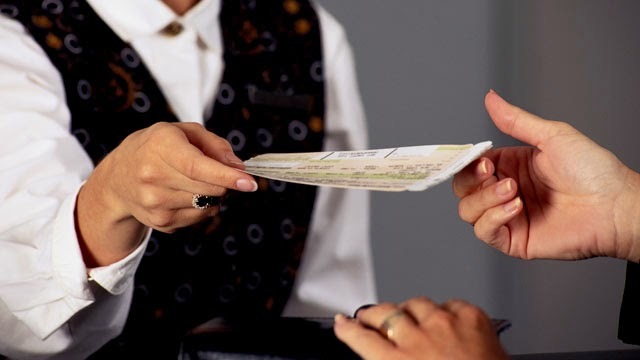 Too many people look at the job and say, “oh, I could easily do that: it’s just waitressing.” This is why you should give them a sizeable tip and just be nice! It really isn't, did you know that you can get tickets on discount airlines for a price that is almost too cheap? Did you know that if you stupidly arrive late for your miraculously cheap flight that you should only blame yourself. Prices for airline tickets have really plummeted since 1980, because flying used to be expensive, much as it used to be something people didn't take for granted. There might be a correlation there, so if you find yourself thinking of flying as just another common travel option and one that should be cheaper, then odds are it already is. You are not going to die, just because you get onto a plane. The only way that turbulence is going to bring down your airliner is if it’s the final straw in an improbable chain of events that your could live for literally 123,000 years and never see. All you have to do is look at the serious incidents and see that there was a whole host of things that precluded the factors that lead to a full-on tragedy. Things like crew training, aircraft design and safety procedures all prevent your death. If you are afraid of flying, you might as well be afraid of pillows, marshmallows and flowers and other things that could technically kill you, but most certainly won’t. Statistically, motorbikes are exactly as dangerous as you think they are. And vans kill thousands, yet are twice as safe as cars. And very few people die on buses. All driving is safer than walking or biking. And cars… tens of thousands of people die every year in car accidents, and several thousand pedestrians with them. The only reason air travel seems so dangerous is because you hear about literally every single incident. The more convenient a form of transport is the less safe it likely is. 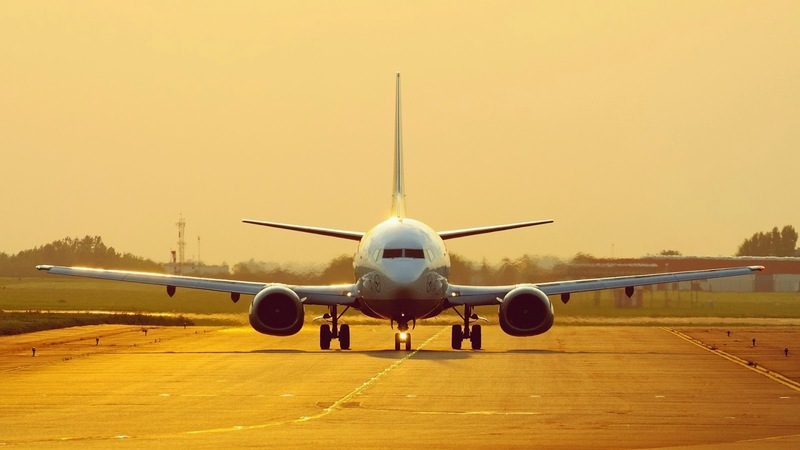 Did you know that, you are 65 times more likely to die in a car than in a plane? Oh, and while air crashes are never single-factor, being in a car accident is terrifyingly easy. Do you know someone who has been in a plane crash? Odds are that you don’t. But, you probably know someone who has been in a car crash, or you were in a car crash. We are way too afraid of airplanes, and not even close to afraid enough of cars. Do you need a reliable, luxurious self-catering apartment with amazing views of the Mother City? Contact 808 Cartwright Corner and book in! Call Airport Shuttle for an affordable, reliable shuttle service to and from Cape Town International Airport.